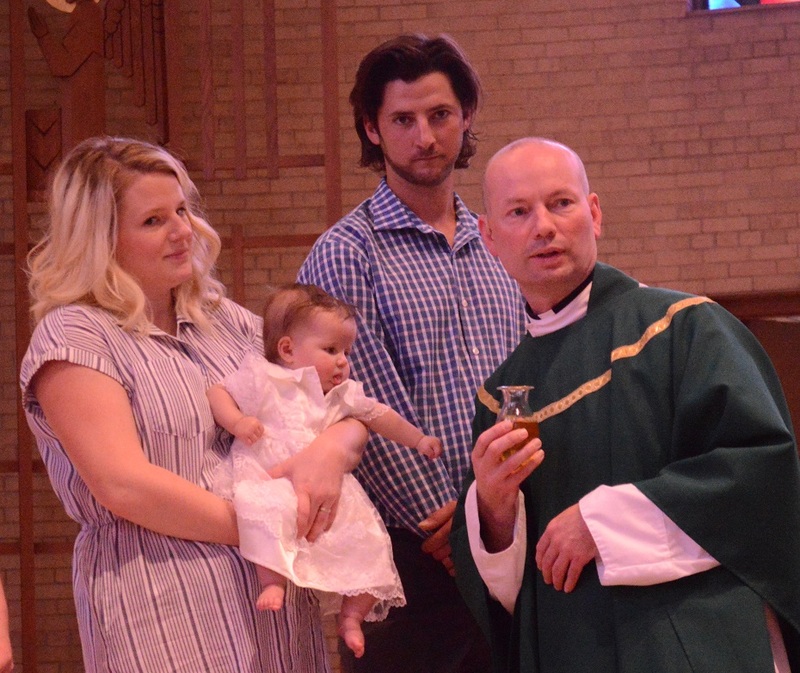 At yesterday’s 4:00 Mass, we welcomed and blessed two new babies into our parish family. The first was Lennon Arlene, child of Matt and Leah Hammes. Lennon is the grand-daughter of Lori and Dean Hammes. And at the same Mass, an ensemble choir welcomed, and was blessed, with our new baby grand piano, played beautifully by our director of sacred music, Mary Jo Lium. Thanks to Bob Jansen for extra effort to make this debut recording happen.